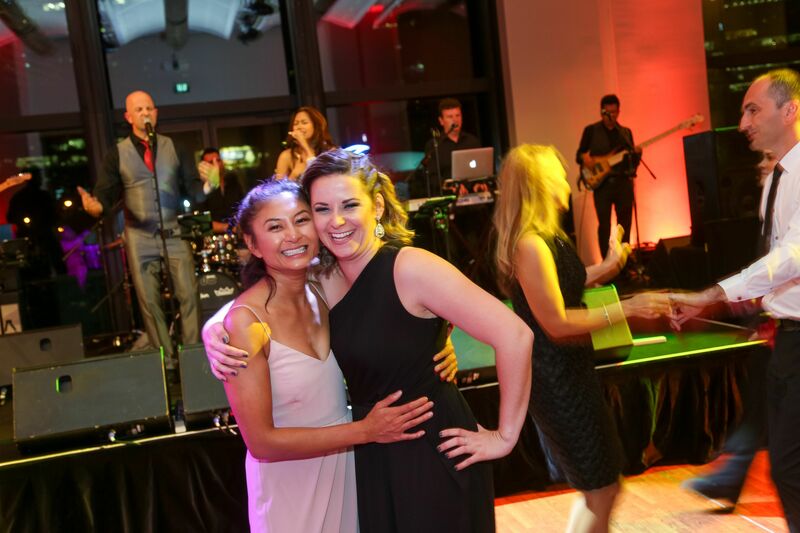 Launching and leading a business is a tough endeavour, so reaching your 10-year anniversary is really something to celebrate! 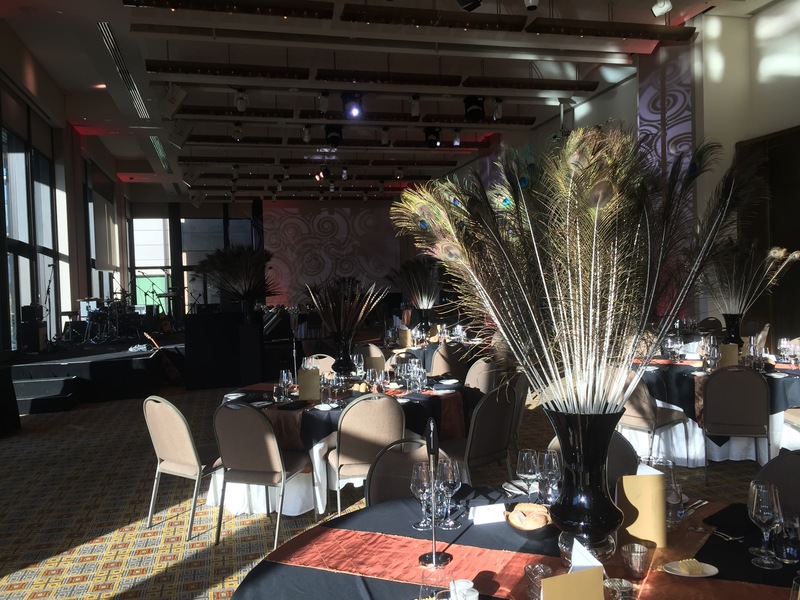 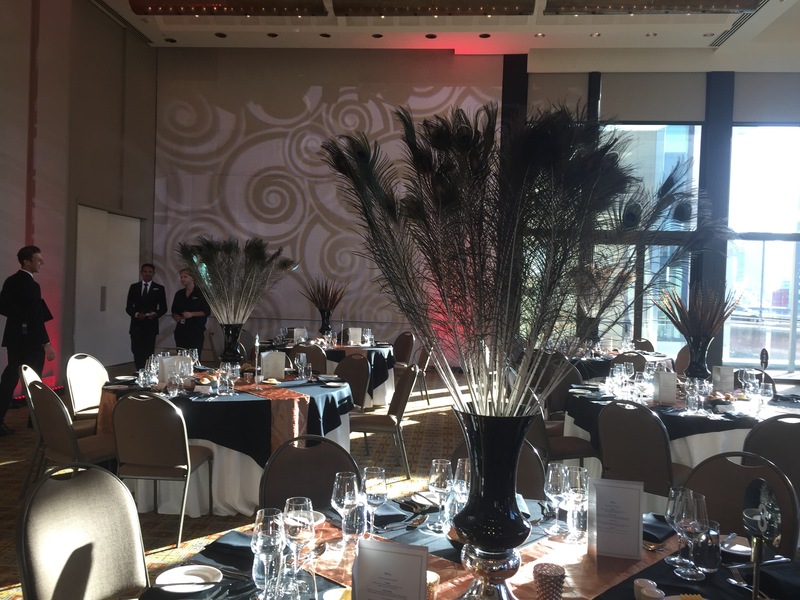 One of our clients engaged Instinct to help them mark this significant achievement with an event for their staff, clients and honoured guests. 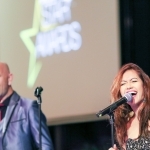 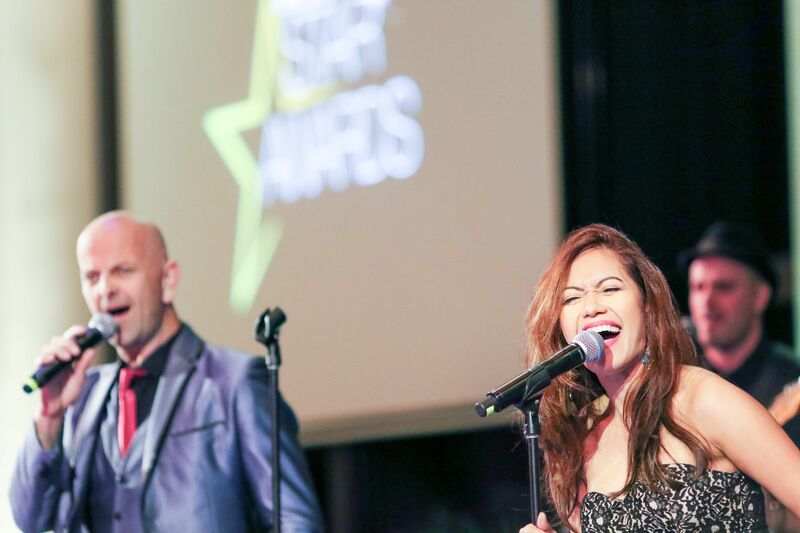 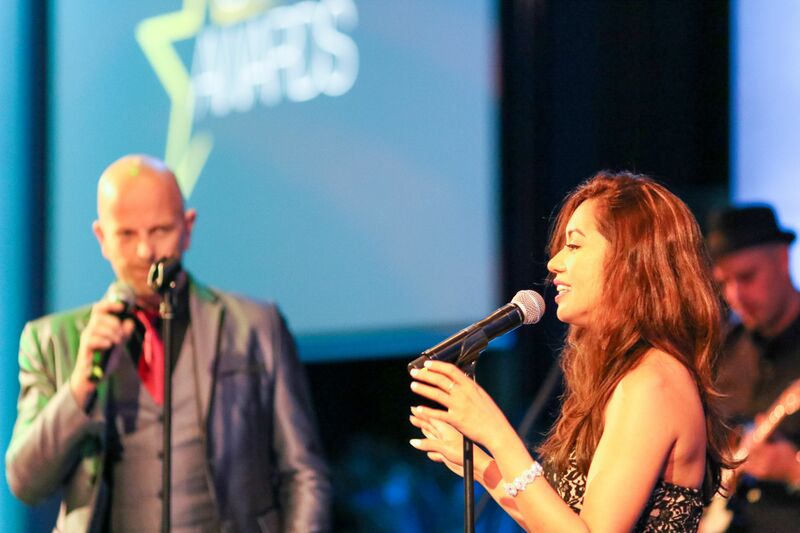 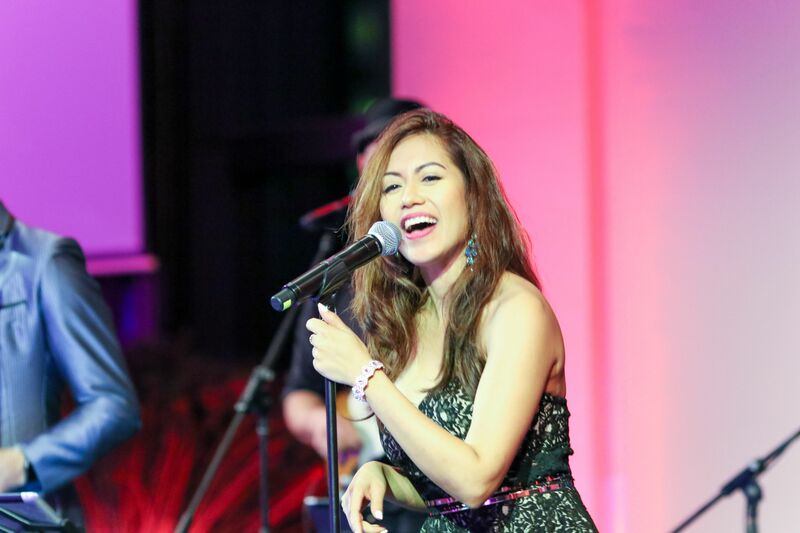 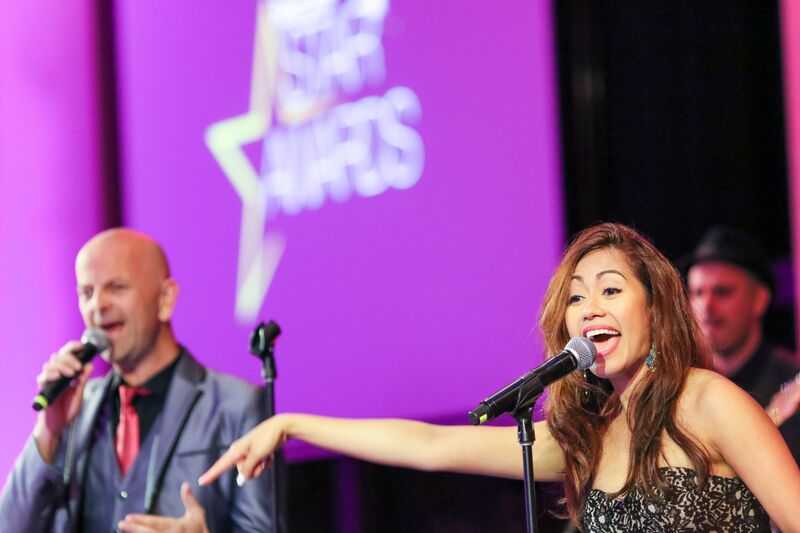 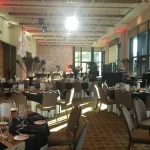 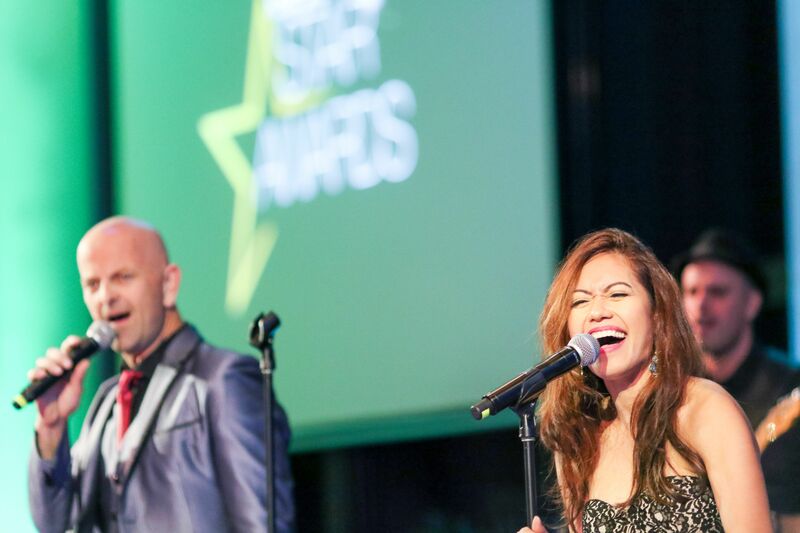 We provided event planning, styling and decor, and of course entertainment! 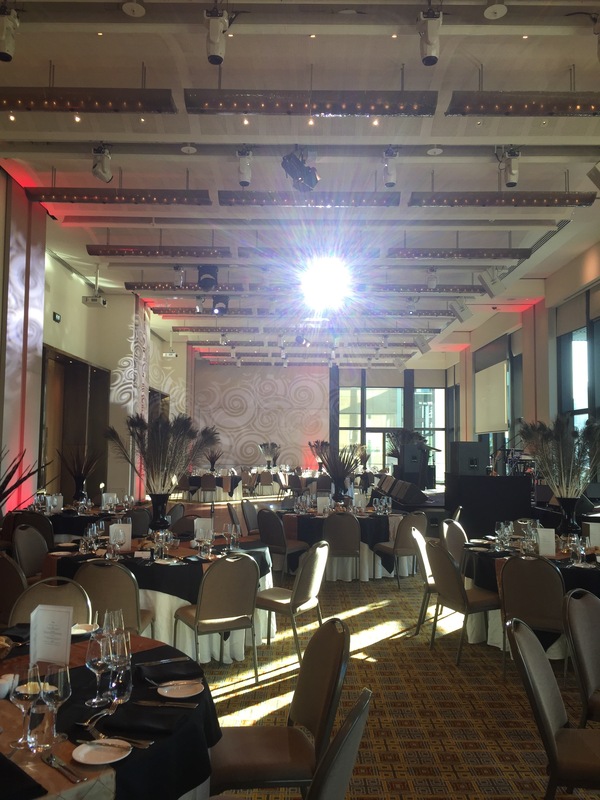 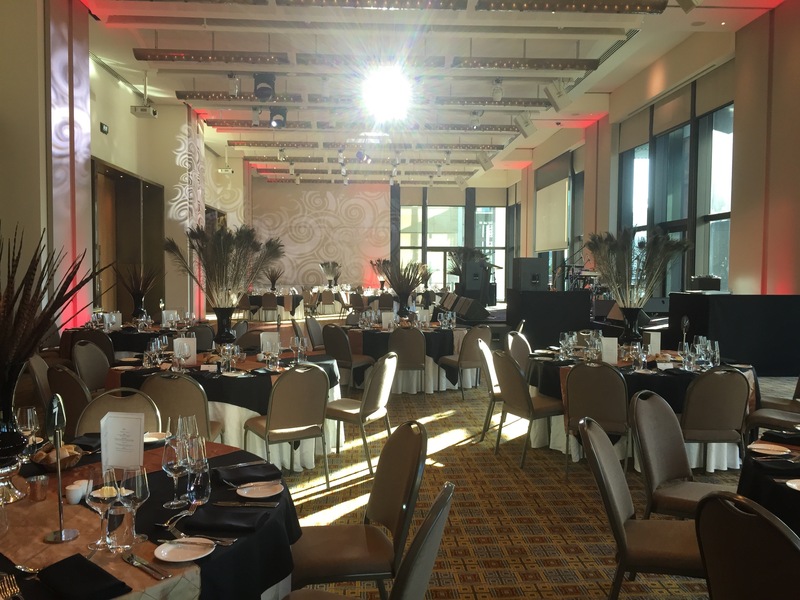 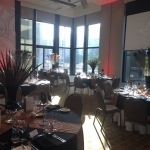 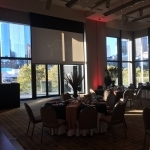 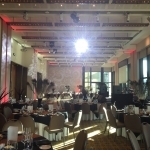 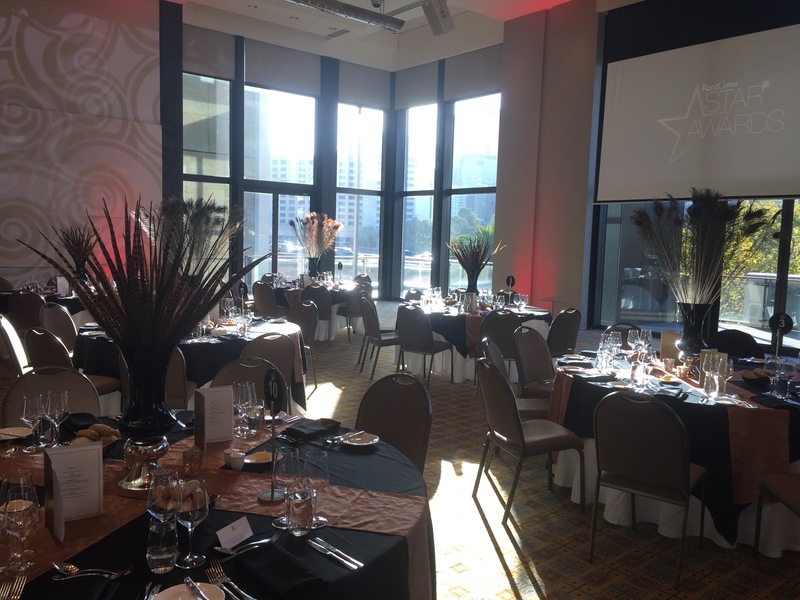 The River Room at Crown, with its spectacular view of Melbourne’s skyline, was the perfect venue for this 150-guest occasion. 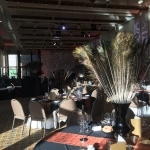 After consultation with our client, we chose understated, elegant decor, providing two different but complementary table centerpieces made of pheasant and peacock feathers. 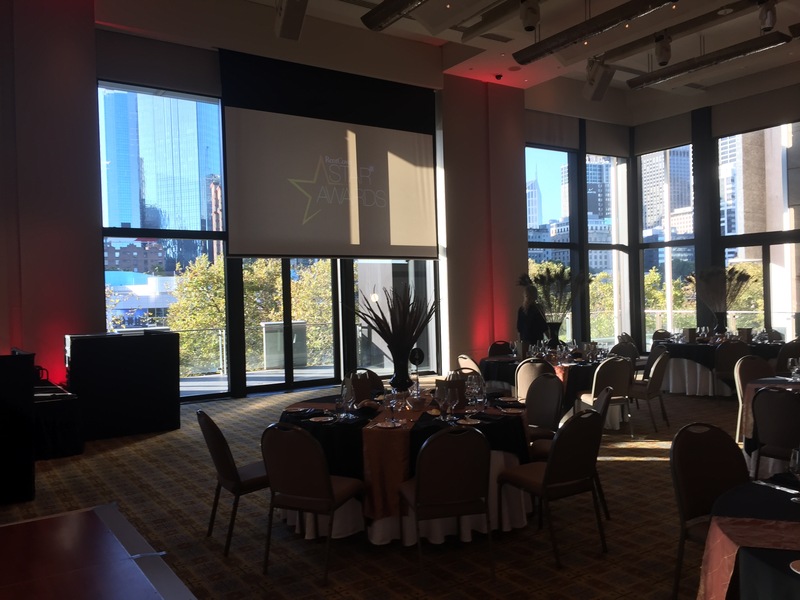 For this 10-year anniversary event, with Instinct’s help the company literally rolled out the red carpet for their guests! 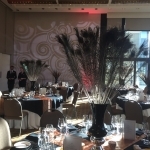 Instinct also arranged a branded media wall which provided the perfect backdrop for photos of guests in their sophisticated evening attire, and created an immediate buzz. 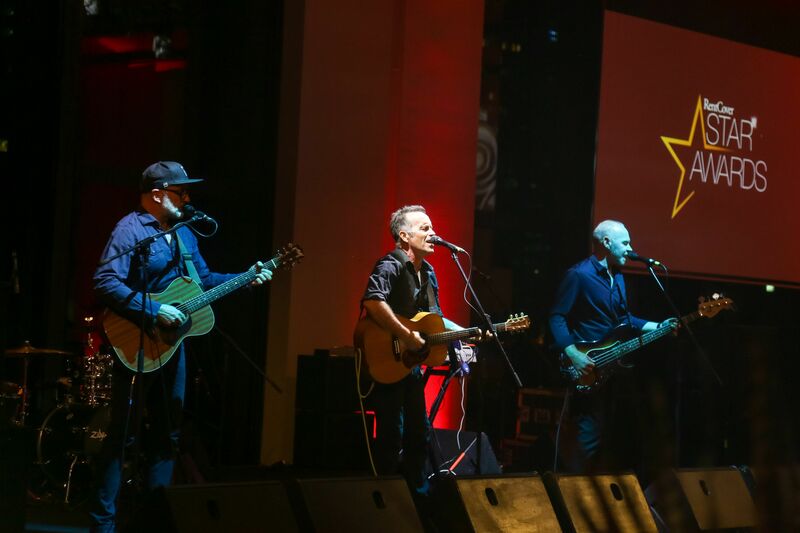 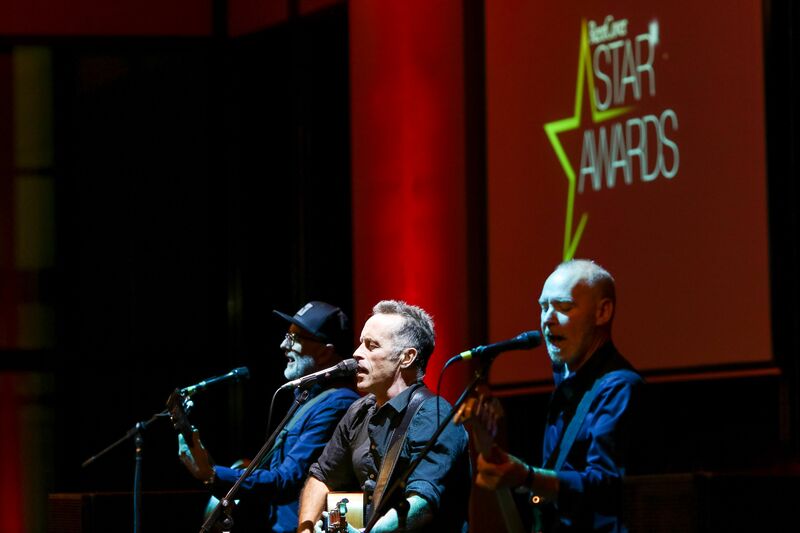 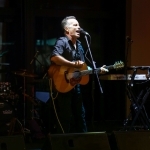 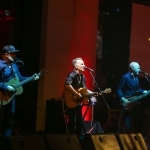 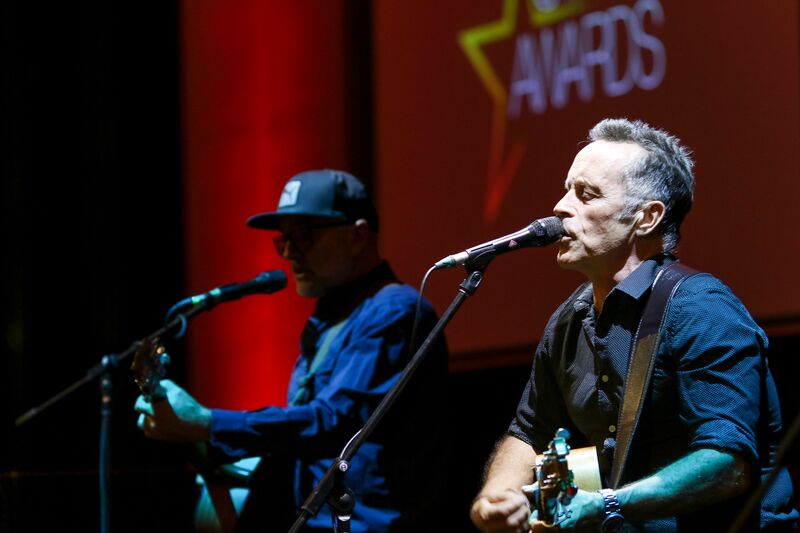 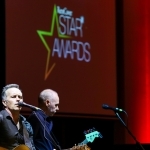 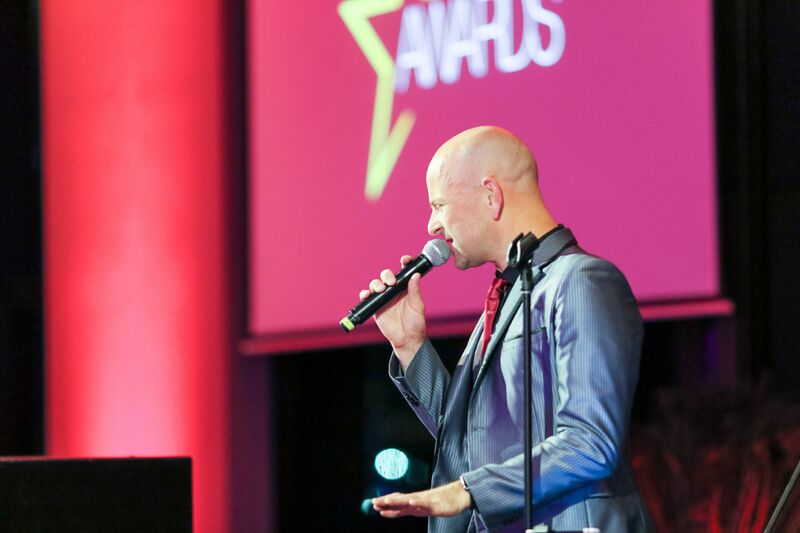 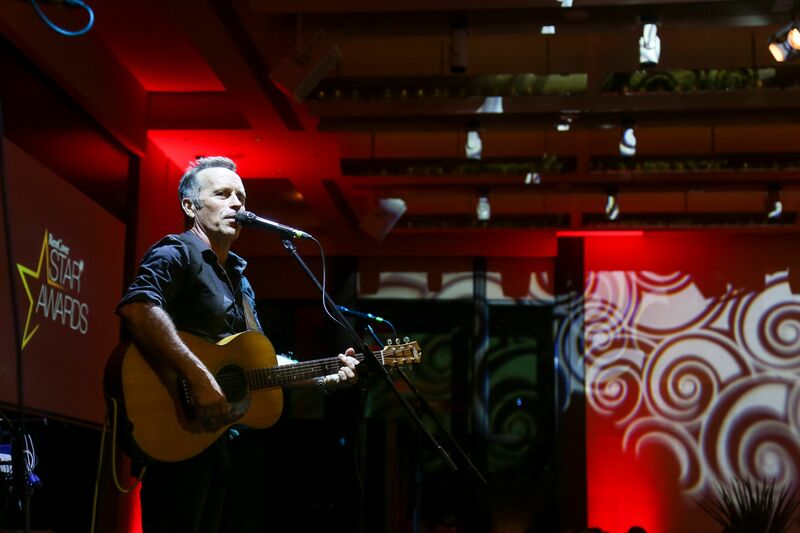 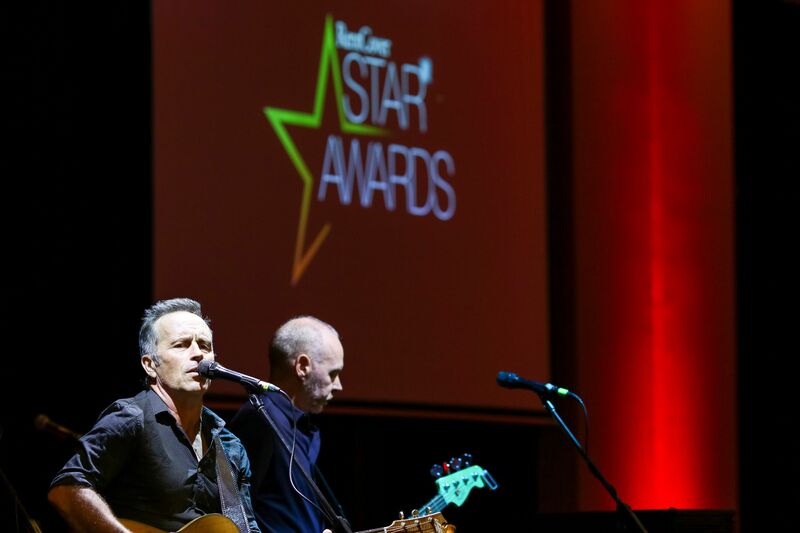 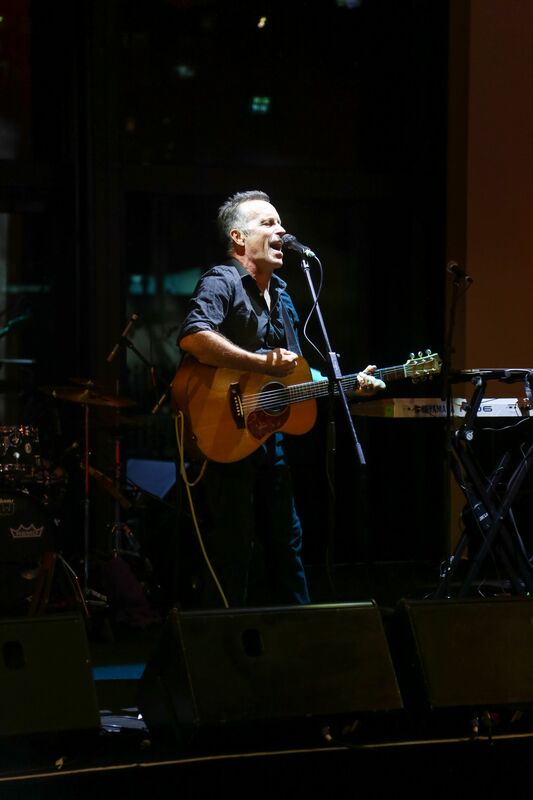 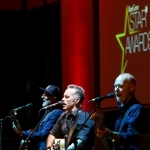 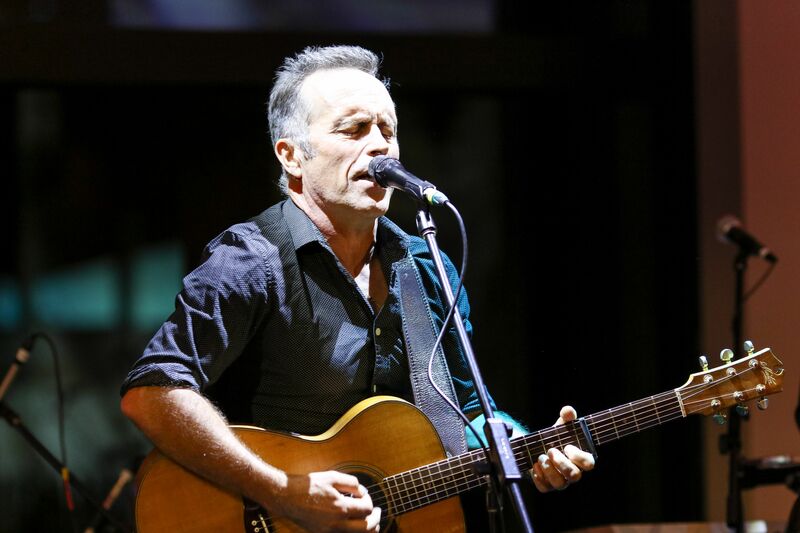 After the formalities of the night concluded, Instinct served up the fantastic talent and Australian treasure that is Mark Seymour, formerly lead singer of the iconic Hunters & Collectors. 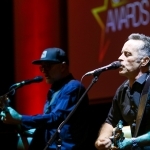 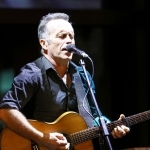 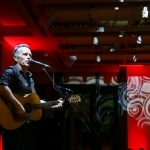 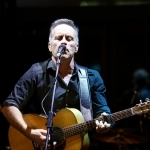 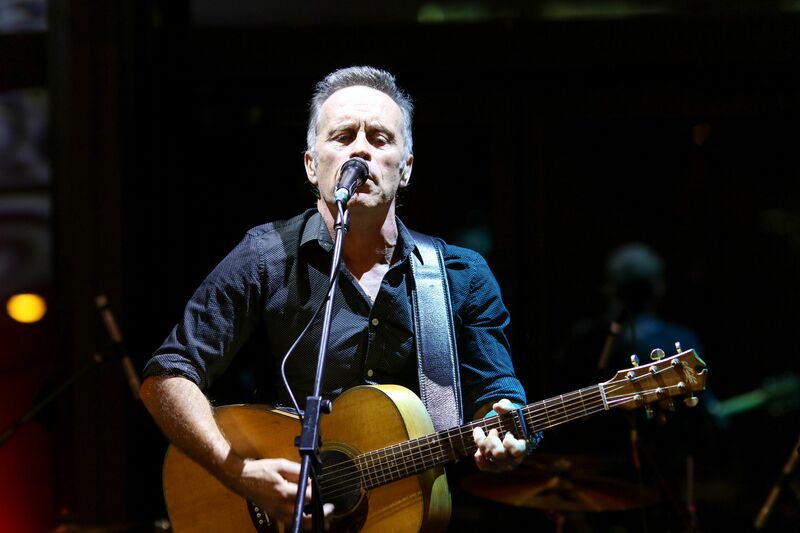 Mark’s ability to hold, connect with and move an audience has only grown more powerful as his career has progressed, and his evocative performance of new and old favourites captured hearts completely. 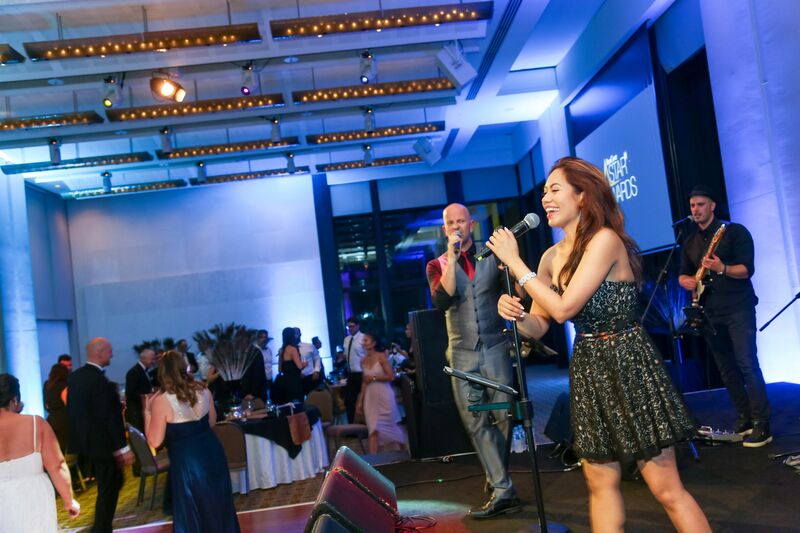 A smooth segue ensured the crowd wasn’t left standing. 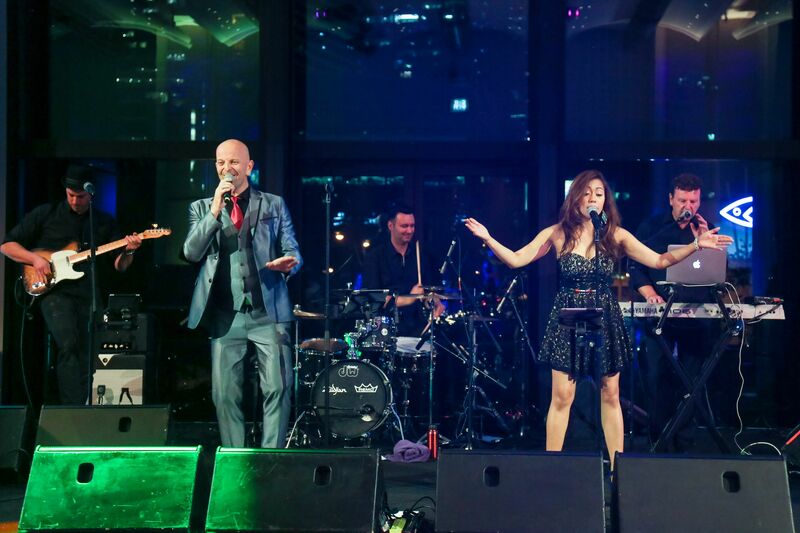 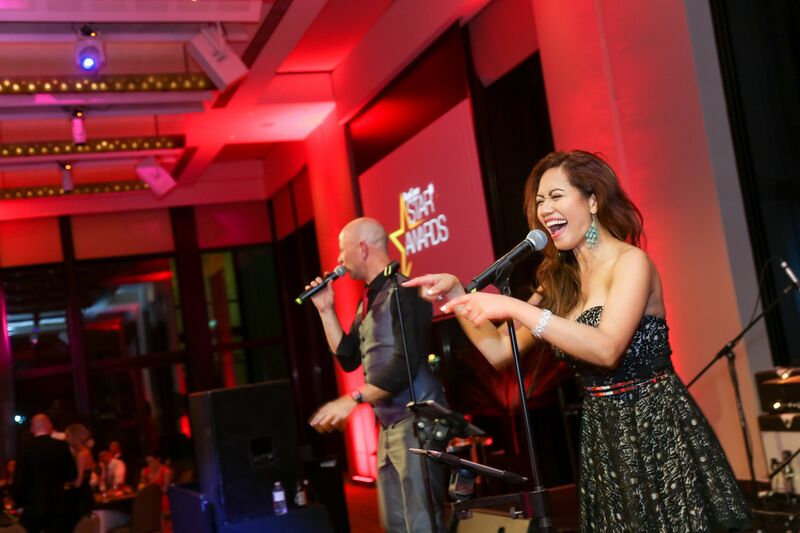 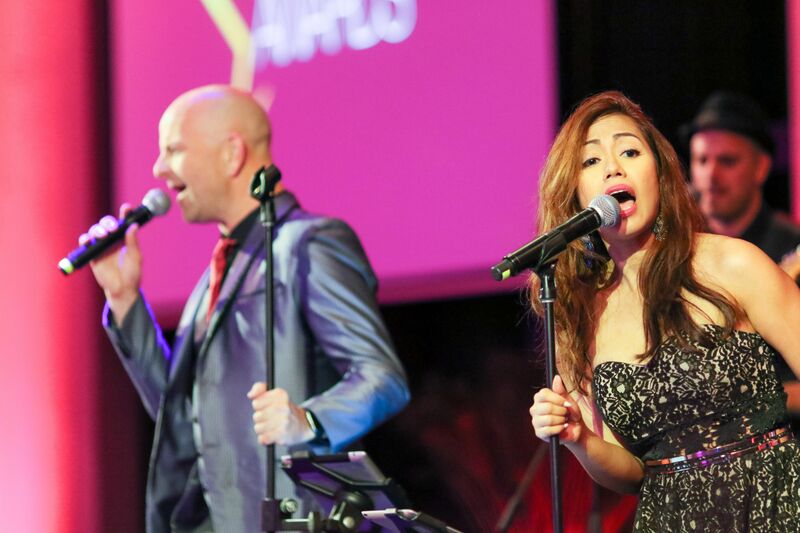 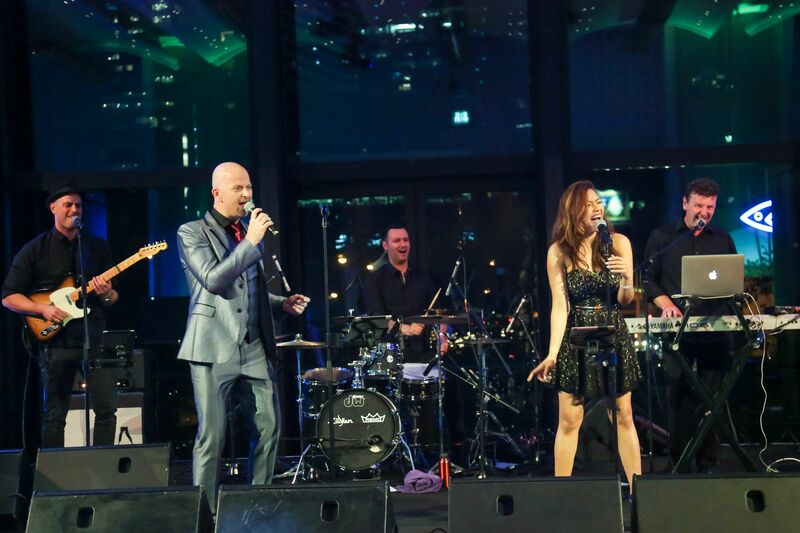 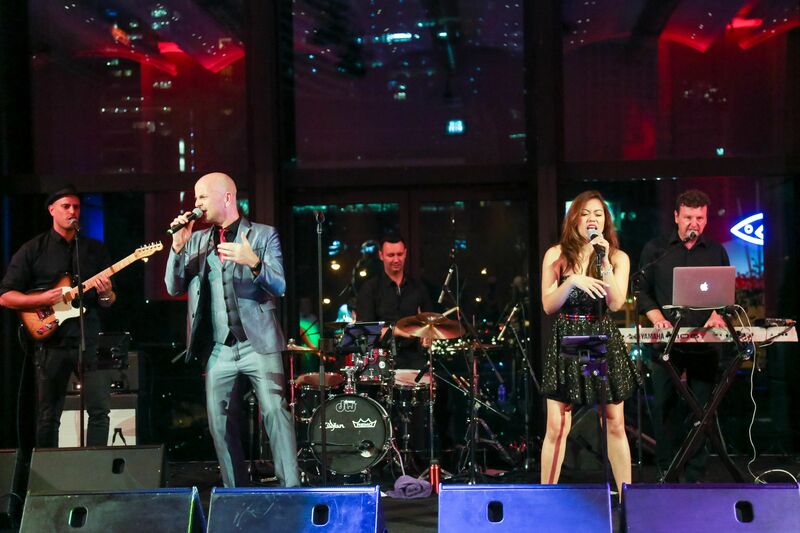 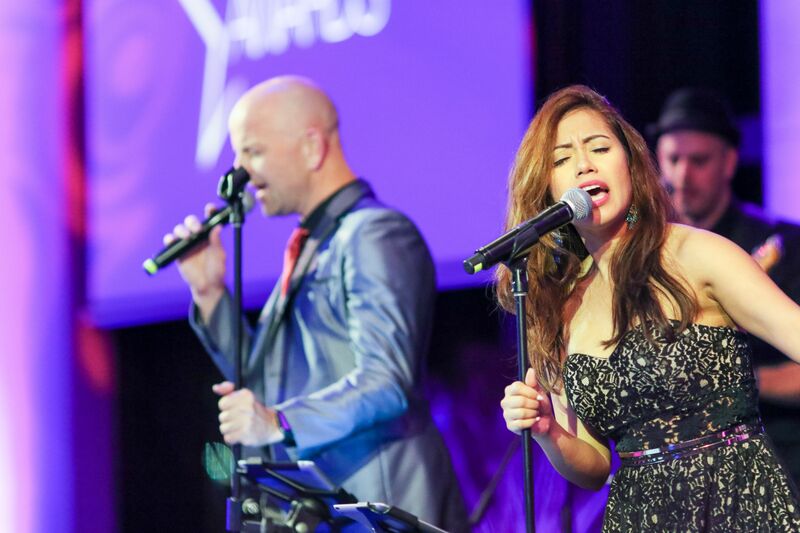 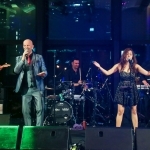 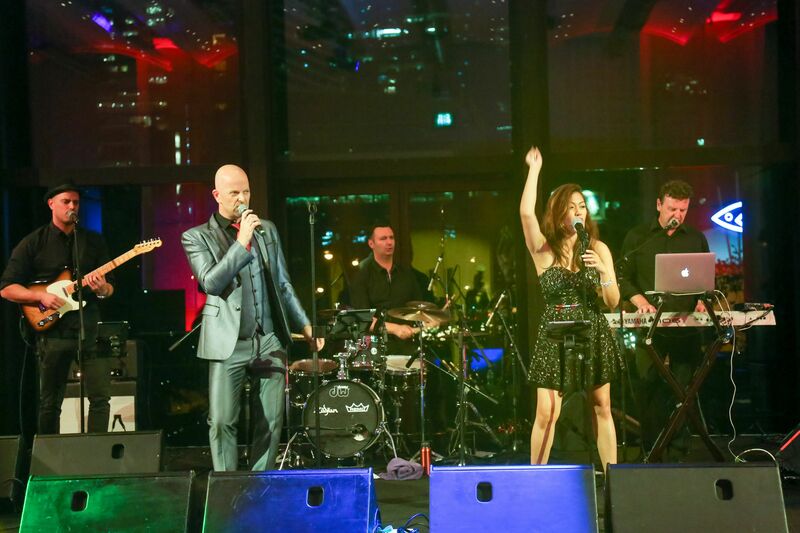 Australia’s number-one corporate cover band, Chunky Jam, swung into action and proved their worth yet again, effortlessly pulling guests onto the dance floor for the remainder of the night.